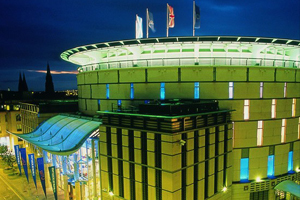 Edinburgh Convention Bureau (ECB) has in the past month confirmed ten new bookings for 2010 and 2011, worth an estimated £5.2m to the local economy. The International Congress of the European Hernia Society is the largest of the events, with 1,500 delegates expected to arrive in Edinburgh in November 2011. Edinburgh has won conferences worth a total of £56.4m in the current financial year and the ECB is confident of hitting its £73.9m target. ECB chief executive Sue Stuart said: "The past 12 months have been challenging but we have helped deliver significant economic benefit for the city. I can confirm that we are on track to meet our target of achieving economic value of £73.9m for the city. We also saw our world ranking as a global destination improve this year from 28th to 36th."